In an era when India and in its essence, India’s youth is losing touch with Indian mythology, The Krishna Key and in a broader sense, Ashwin Sanghi’s own distinctive genre is a game changer. Combining mysterious mythology, excellent research and some enthralling fiction, the book can simply not be put down. The book slowly lures you into a seemingly simple waltz which suddenly turns into a spicy tango as each page leaves you yearning for more. This 464 paged novel is unique because of several factors; the so called “Indian” style of writing, a simple yet deep character embodiment combined with a Dan Brown like narration and plot makes for a brilliant read. Being a consistent Sanghi reader, the tone and pace of the book was nothing new to me although to first time readers it may seem slightly odd but you catch on within the first 100 pages. Moving on to the core X-factor of the book that is the blunt and simple expression of history in combination with myth. Ingeniously Sanghi uses logic and seemingly simple connect-the-dots narration to solidly bring credential to seemingly absurd mythological claims. Simply put, if a book can convince me that a Shiv Lingam is an ancient representation or a model of a nuclear reactor in just about two pages, the book is meticulously researched and the author has a super power to cut the crap when it comes to information. Interestingly, the Krishna Key also shows the other side of Sanghi which is of an excellent fiction creator. Dramatization, suspense and elaborate scene setting are a part of his style which beautifully fits in with the obviously exhaustive research. Zeroing on to the rare down trends of the book, I personally felt that the climax was well rather anti-climax. Quite similar to Dan Brown’s The Lost Symbol and most of Ashwin’s past books themselves, the ending had a spiritual as well as philosophical edge to which the build up was rather lacking. The transition from finding something substantial to finding something metaphorical and cryptically spiritual is rather quick and surprisingly, but not in the good sense. Apart from that, the novel did not lag anywhere. Although there were clearly some issues at the editorial (For example, on Page number 301 of my paperback edition, the character Radhika is referred to as Priya who is an another character), these issues are ignorable and can be easily fixed in future editions. Overall, this book is a wonderful read for all fans of the thriller or historical fiction genre. For kids and teenagers, it is an opportunity to learn the logic and history behind many of our existing beliefs while for the analytical adult( or young adult), the book, like the previous ones by Ashwin, present a wonderful and fresh new look on the concept, evolvement and emergence of religion which admirably plays a huge role in all our lives. 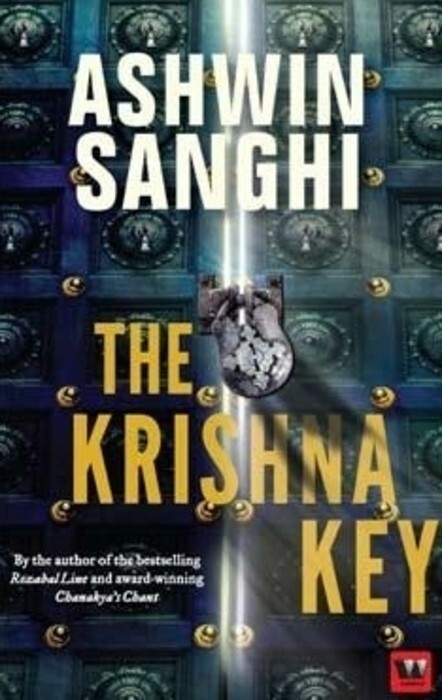 This entry was posted in Ashwin Sanghi, Book, Book Review, Fiction, Myth, Shawn Haggins, The Krishna Key, Thriller. Awesome review dude… you have described the book in a way that is better than most leading newspapers! I am going to get a copy today itself. Keep up the good work! !